Honor 7C starts at INR 9,999 for the 3GB RAM + 32GB storage variant and increases to INR 11,999 for the 4GB RAM + 64GB storage. On the other hand, the Honor 7A is only launched in one variant i.e. 3GB RAM in India, foregoing the 2GB RAM with single lens camera variant launched in China. It is priced at an affordable price of INR 8,999. After launching Honor 10 with some exciting high end features, the Chinese tech brand, Huawei, has launched the Honor 7C and Honor 7A under the sub-brand, Honor, in India. The duo, more or less, do not have much difference in their look as the design look similar but do differ in the screen size and processor. To recall, the duo smartphones were launched in March & April in China and have arrived India after almost a month. The Honor 7-series smartphones come under the budget smartphone category and will be Amazon and Flipkart exclusive. When it comes to their price, the Honor 7C starts at INR 9,999 for the 3GB RAM + 32GB storage variant and increases to INR 11,999 for the 4GB RAM + 64GB storage. On the other hand, the Honor 7A is only launched in one variant i.e. 3GB RAM in India, foregoing the 2GB RAM with single lens camera variant launched in China. It is priced at an affordable price of INR 8,999. 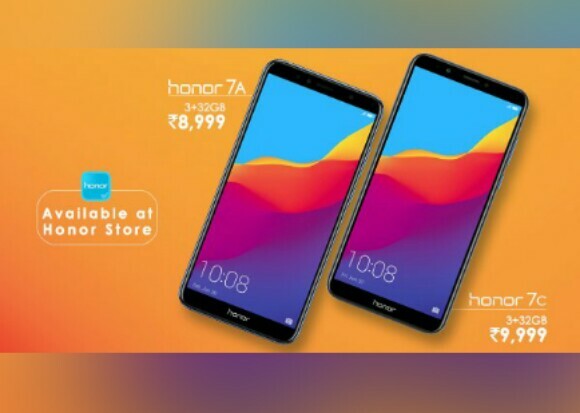 The sale of the Honor 7C begins from May 31, 12pm exclusively on Amazon India while Honor 7A will go for sale exclusively on Flipkart from May 29 at 12pm. They are also available via Honor’s Online stores. The color variant includes Black, Blue and Gold. Honor 7C packs a 5.99-inch HD+ IPS LCD display with the screen resolution of 720×1440 pixel and aspect ratio of very popular 18:9. When it comes to the camera features, it sports an 8-megapixel selfie camera with f/2.0 aperture along with a soft selfie light. 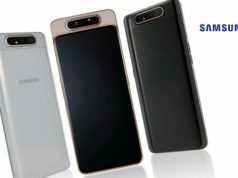 At the back, it sports a dual lens camera module with 13-megapixel primary camera sensor and 2-megapixel secondary camera sensor with an LED flash. The smartphone runs EMUI 8.0 based Android 8.0 OS and is powered by an Octa-Core Qualcomm Snapdragon 450 SoC paired with 3GB/4GB RAM. 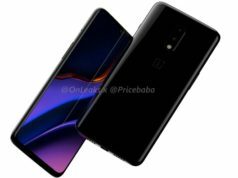 It comes with both 32GB and 64GB variants when it comes to the internal storage capacity, expandable to up to 256GB using a MicroSD card (dedicated slot). Honor 7C packs a 3,000mAh non-removable battery, weighs 164g and measures 158.3×76.7×7.8mm. Honor 7A packs a 5.7-inch HD+ IPS LCD display with similar screen resolution of that of 7C i.e. 720×1440 pixels. 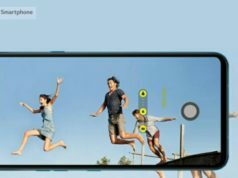 The camera department remains the same that of Honor 7C but differ in aperture of the front camera as it bears f/2.2 aperture as against f/2.0 of the 7C. The smartphone runs on the same EMUI 8.0 based Android 8.0 OS but differ in processor specifications. It is powered by an Octa-Core Qualcomm Snapdragon 430 SoC paired with only 3GB RAM. It features 32GB internal storage capacity, expandable to up to 256GB using a MicroSD card. 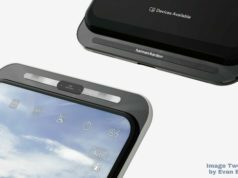 It also packs a 3,000mAh battery, weighs 150g and measures 152.4x73x7.8mm. 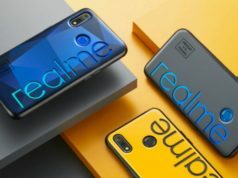 When it comes to the connectivity options, the duo smartphones feature 4G VoLTE dual SIM support, WiFi 802.11 a/b/g/n, Bluetooth v4.2, Micro-USB, GPS/A-GPS, 3.5mm Audio Jack. 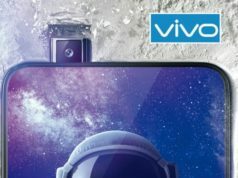 Sensors onboard are light ambient sensor, proximity sensor, fingerprint sensor (rear mounted), face recognition sensor, accelerometer and digital compass. Next articleWho is Vidya Vox & Why is Hrithik Roshan a Fan of Her?